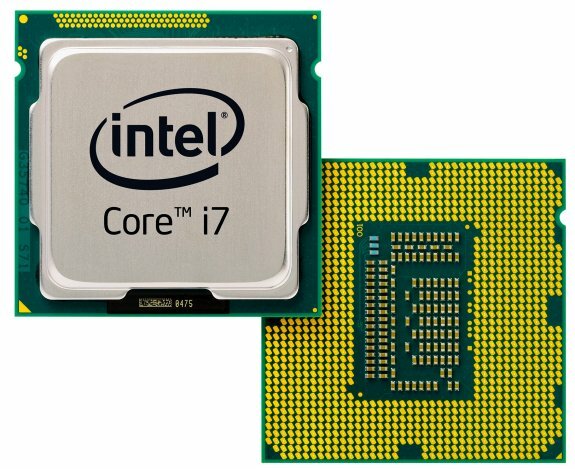 Intel officially presents Ivy Bridge, its third-generation Core processors. Made on a 22nm process, these chips use 3D tri-gate transistors and promise up to twice the HD media and 3D graphics performance than Sandy Bridge. Intel Corporation today introduced the quad-core 3rd generation Intel® Core™ processor family, delivering dramatic visual and performance computing gains for gamers, media enthusiasts and mainstream users alike. Available now in powerful, high-end desktop, laptop and sleek all-in-one (AIO) designs, the new processors are the first chips in the world made using Intel’s 22-nanometer (nm) 3-D tri-Gate transistor technology. "The 3rd generation Intel Core processors were created from the ground up to generate exciting new experiences," said Kirk Skaugen, Intel vice president and general manager of the PC Client Group. "Our engineers have exceeded our expectations by doubling the performance of media and graphics versus the best processors we’ve built until today, which means incredible new visual experiences are here for new all-in-one PCs and upcoming Ultrabook devices. What makes all this possible is the combination of Intel’s leading manufacturing and processor architecture, and our unwavering commitment to drive computing innovations forward." The 3rd generation Intel® Core™ processor with Intel® HD Graphics 4000 delivers up to two times better 3-D graphics performance compared to the previous-generation processor, bringing more gaming fun with richer detail at higher resolutions. Intel HD Graphics 4000 supports Microsoft* DirectX 11, OpenGL 3.1 and OpenCL 1.1. Great visual experience is about more than just gaming. Online video continues to grow dramatically, and is expected to comprise half of all Internet traffic this year. ** The key to making video fun is the ability to quickly convert it for online sharing with friends and family. With Intel® Quick Sync Video 2.0 technology built into the new processors, people can convert their videos up to two times faster than even last year’s processors and up to 23 times faster than PCs just three years old. The 3rd generation Intel Core processor also adds security features, including Intel® Secure Key and Intel® OS Guard to safeguard personal data and identity. Intel Secure Key consists of a digital random number generator that creates truly random numbers to strengthen encryption algorithms. Intel OS Guard helps defend against privilege escalation attacks where a hacker remotely takes over another person's system. These two features join existing platform security features such as Intel® Identity Protection Technology (Intel® IPT) and Intel® Anti-Theft technology (Intel® AT) to help make Intel platforms some of the most secure in the industry. When paired with the Intel® Series 7 Chipset, the new processors with Intel IPT can make a portion of the screen unreadable to spyware with the “protected transaction display” feature, helping prevent a hacker from obtaining login credentials that could lead to identity theft.